This chapter begins a two chapter story arc and introduces a new character named Simon. I sorta wish Simon was introduced earlier, because he and Maria make a perfect comic duo. I don't want to say much about this chapter other than along with chapter 8, I enjoyed it very much. I also received a lot of positive feedback on the chapter from the proofreaders. So let's just get on with the release! Links to "Fushigi no Maria-kun" chapter 7: (Zip) (PDF) Please do not upload either of these files to any of the manga aggregators. 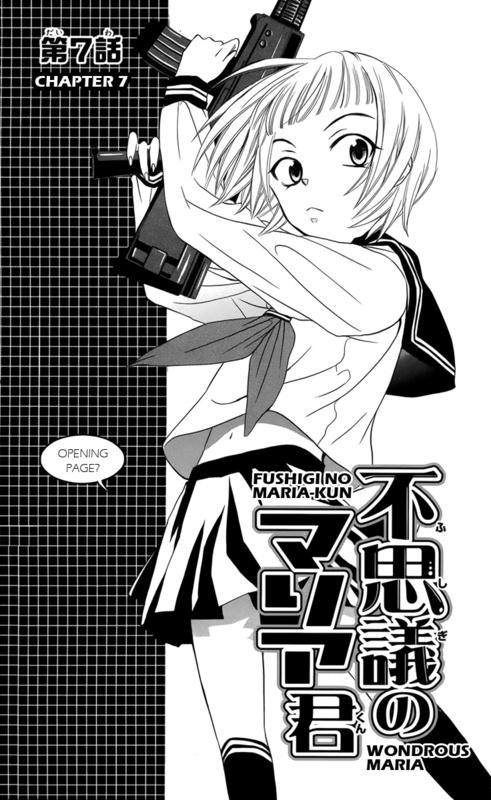 Next up will be the last two chapters of "Fushigi no Maria-kun". Chapter 8 may come tomorrow or Sunday and Chapter 9 (the finale) will be out Monday or Tuesday.